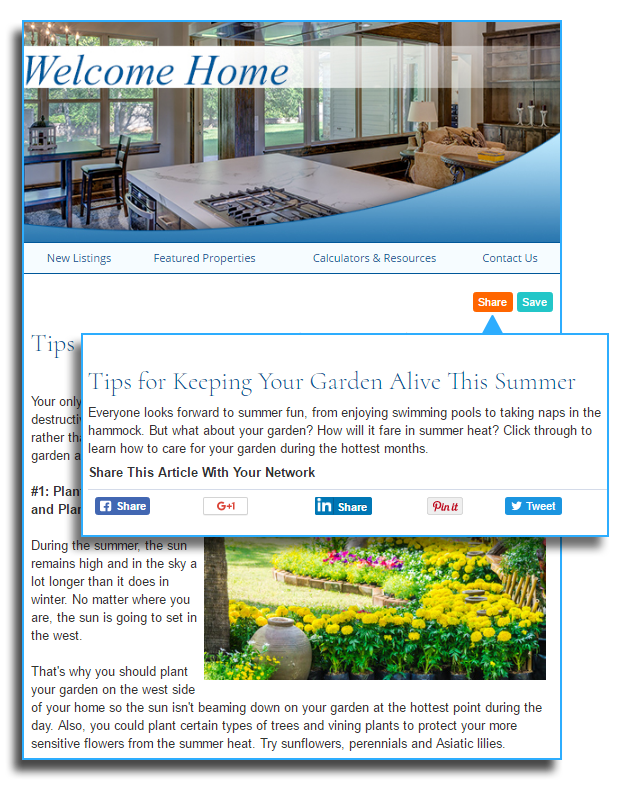 Repurpose any of your newsletter articles by posting them, with just a couple clicks, to your social media sites. We make it easy for you to maximize your newsletter readership and social media presence, all while keeping your sphere of influence informed with relevant, educational content. Plus, the same simple social sharing functions are built-in for your readers to use as well. Readers who receive your email newsletters can easily share your articles on their favorite social networks to increase word-of-mouth marketing for your business on social media.